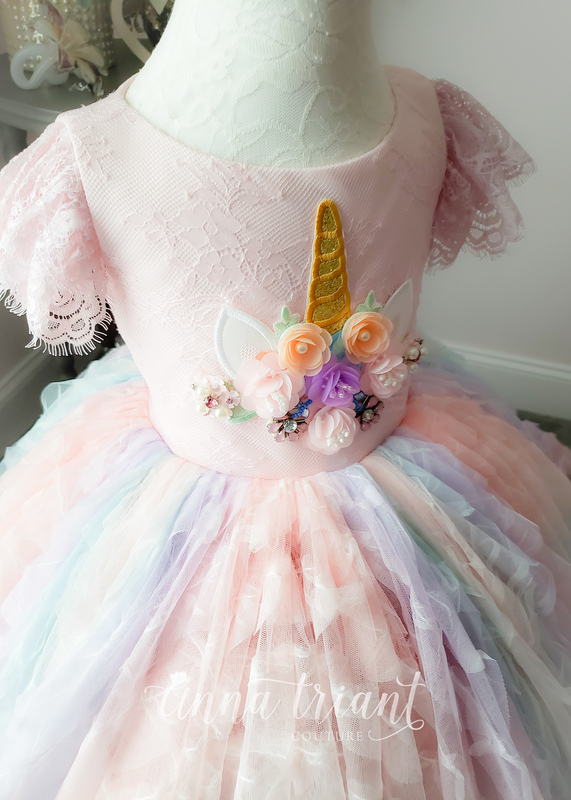 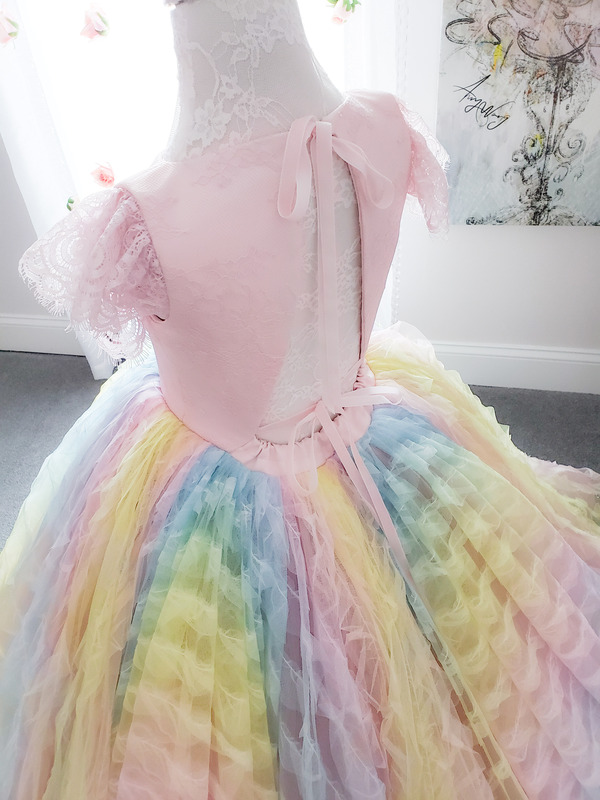 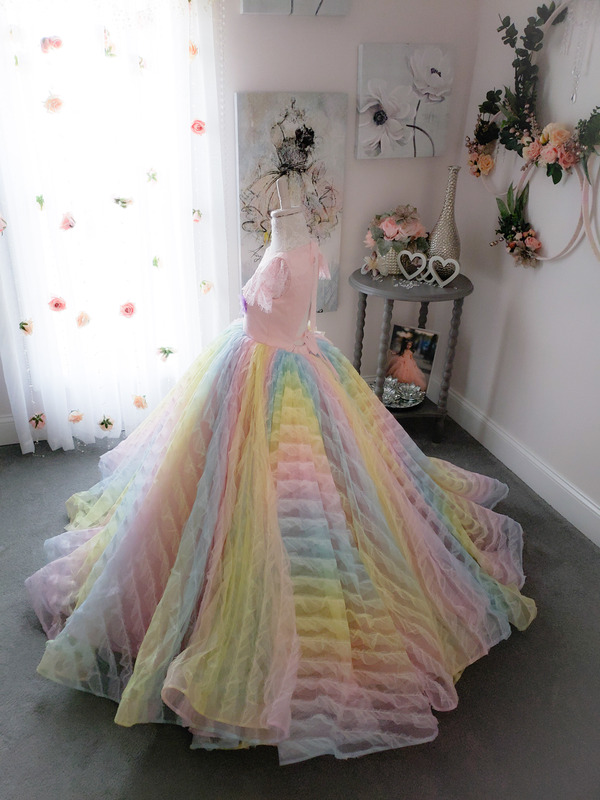 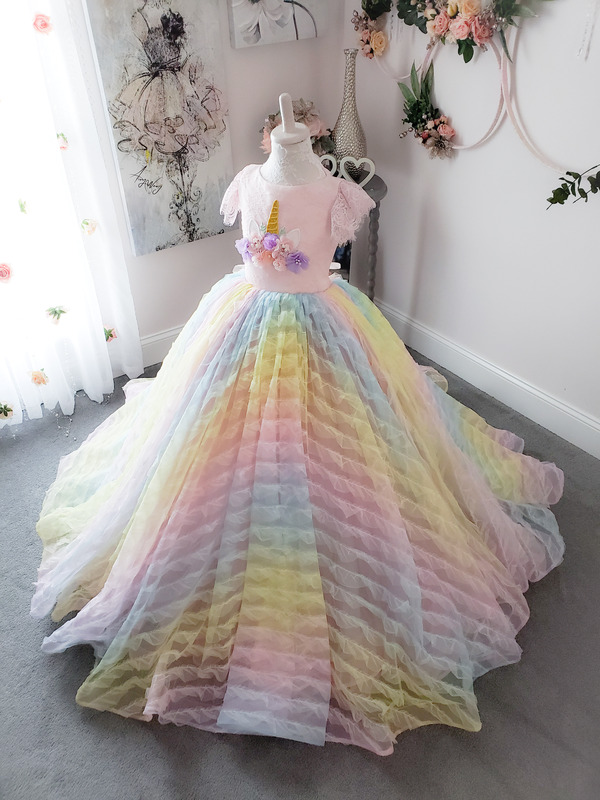 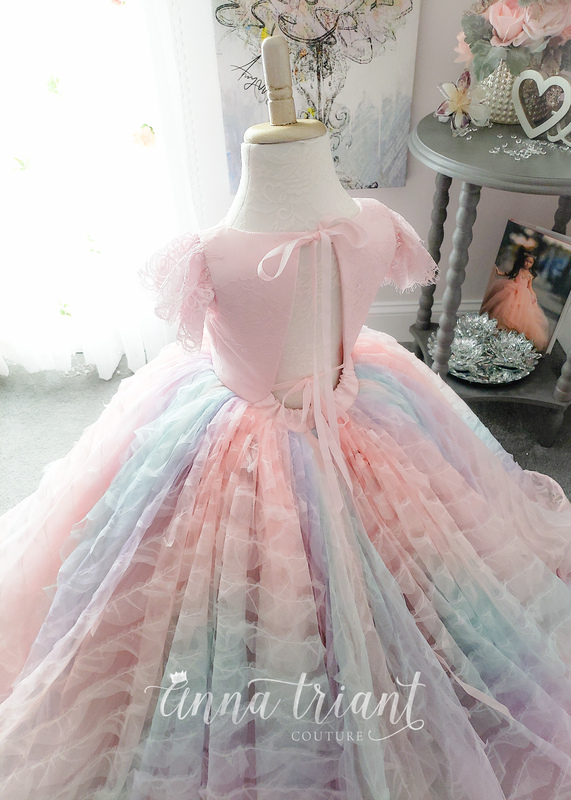 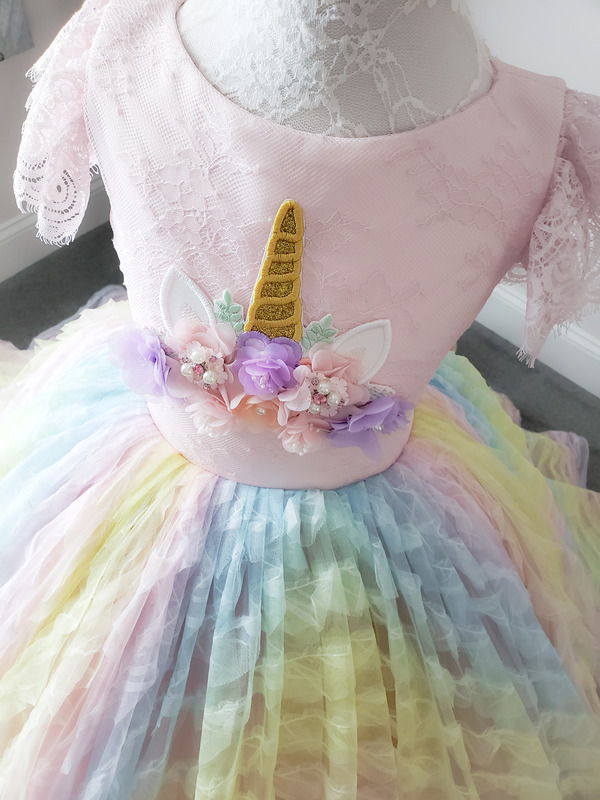 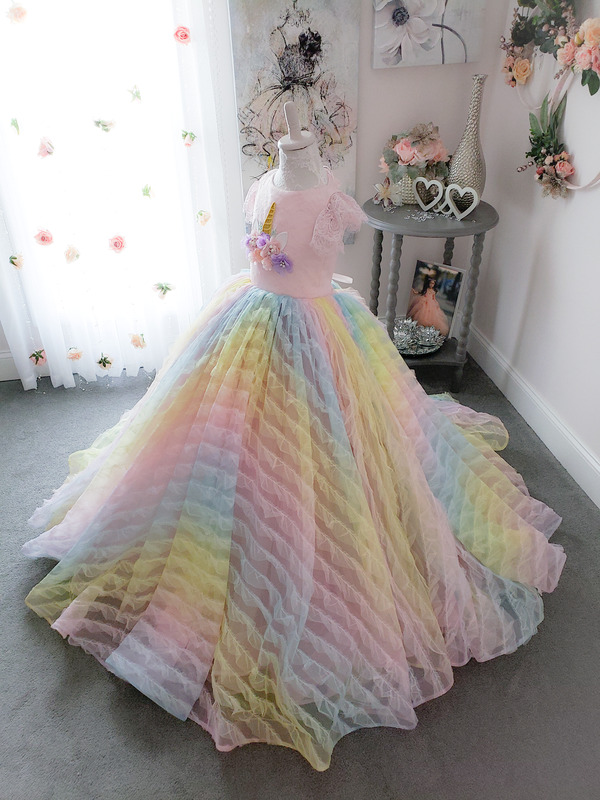 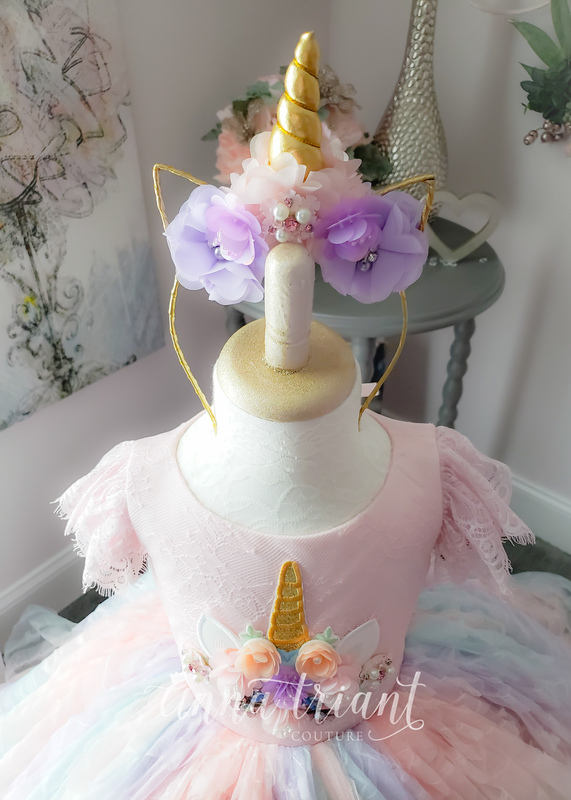 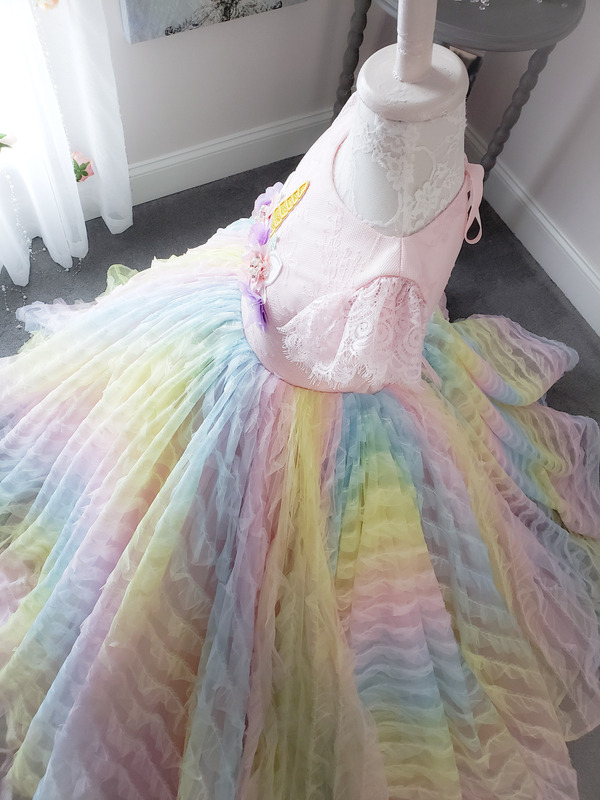 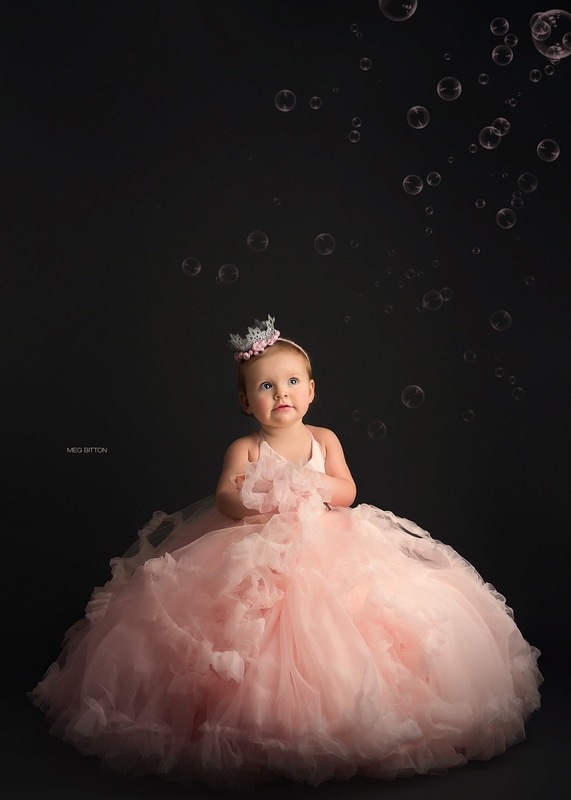 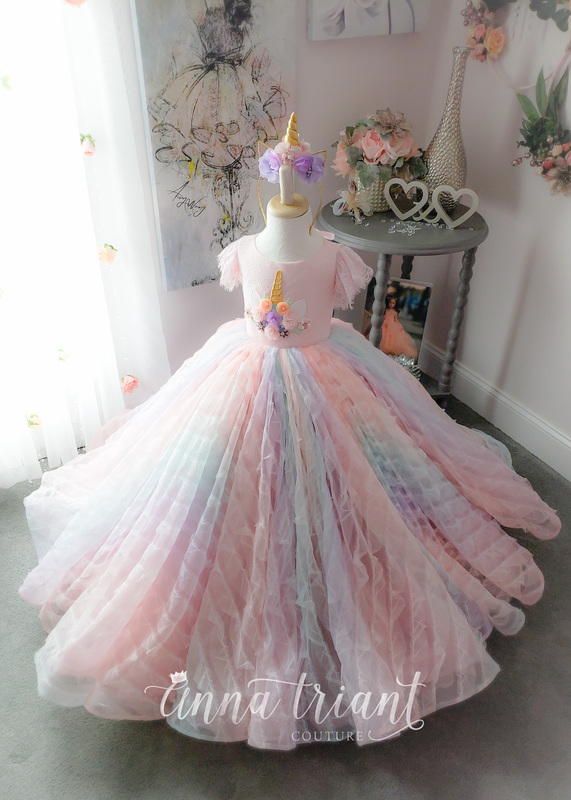 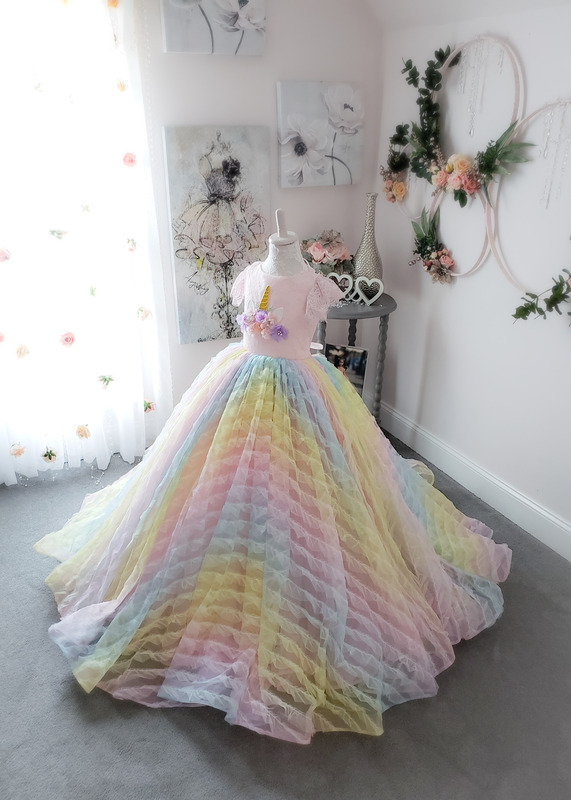 This gown is what little girls' dreams are made of! 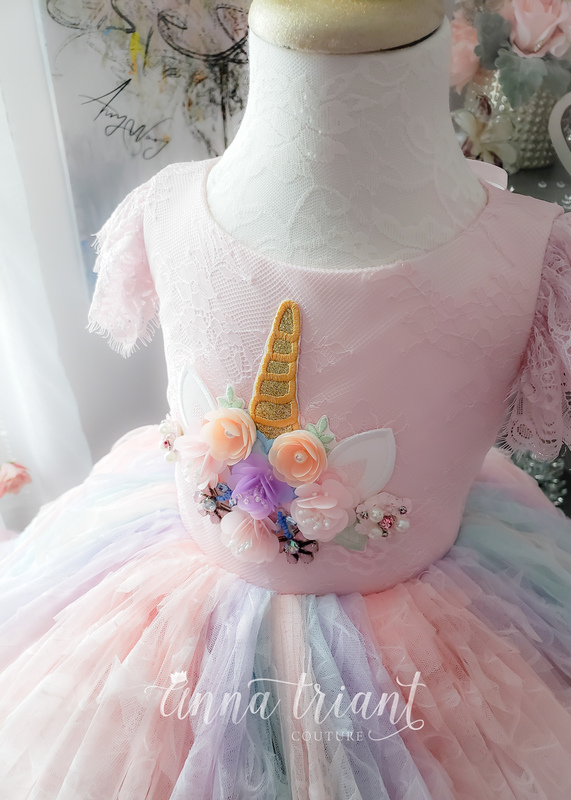 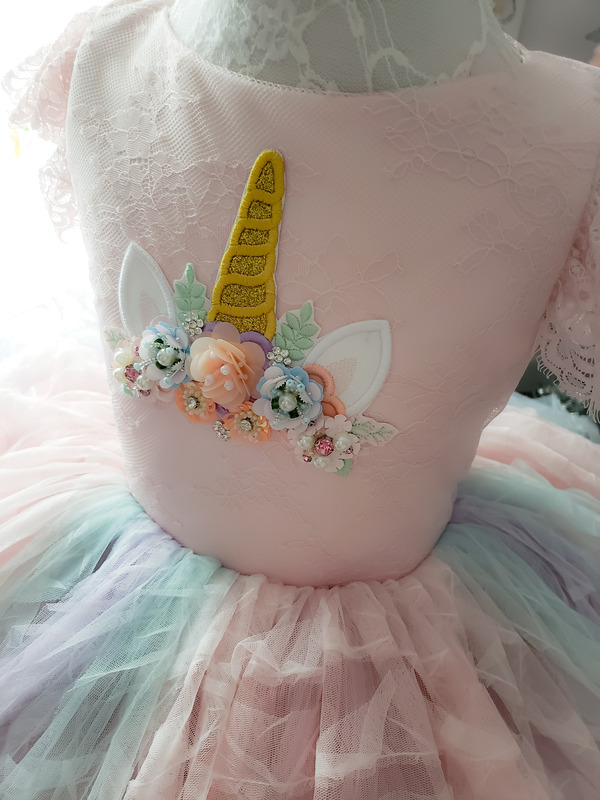 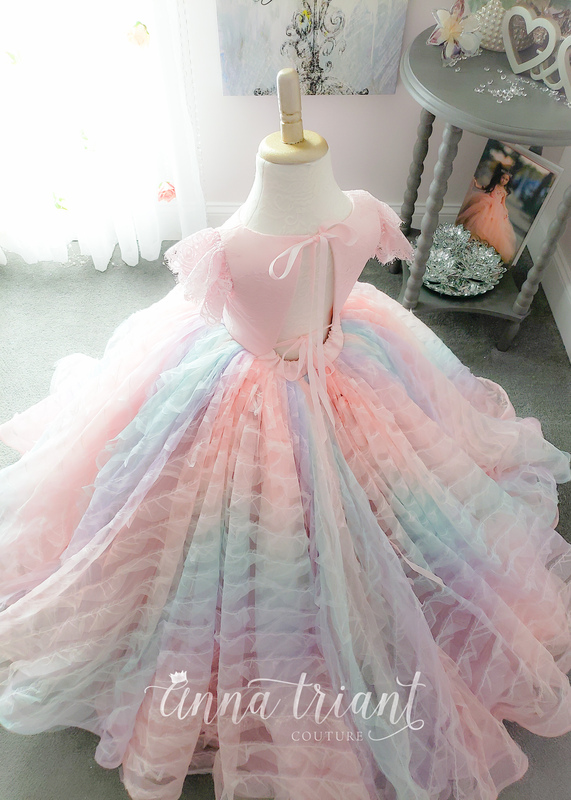 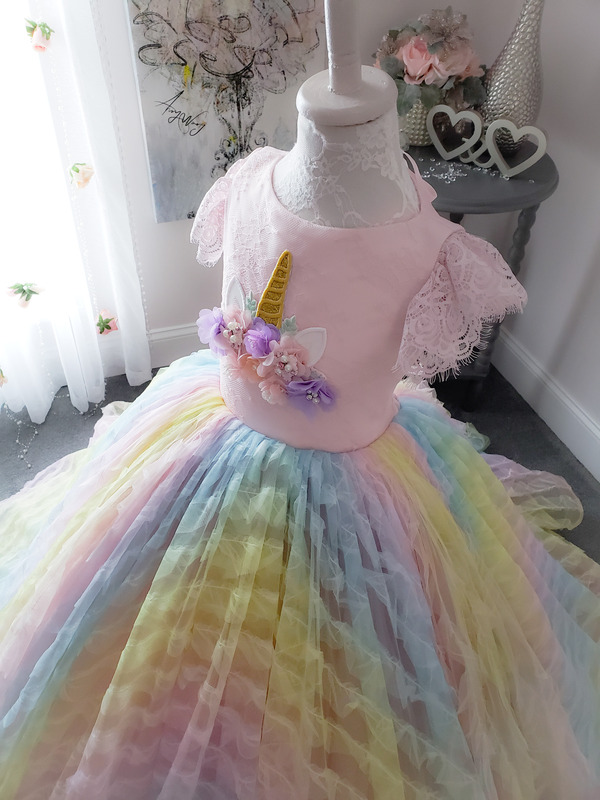 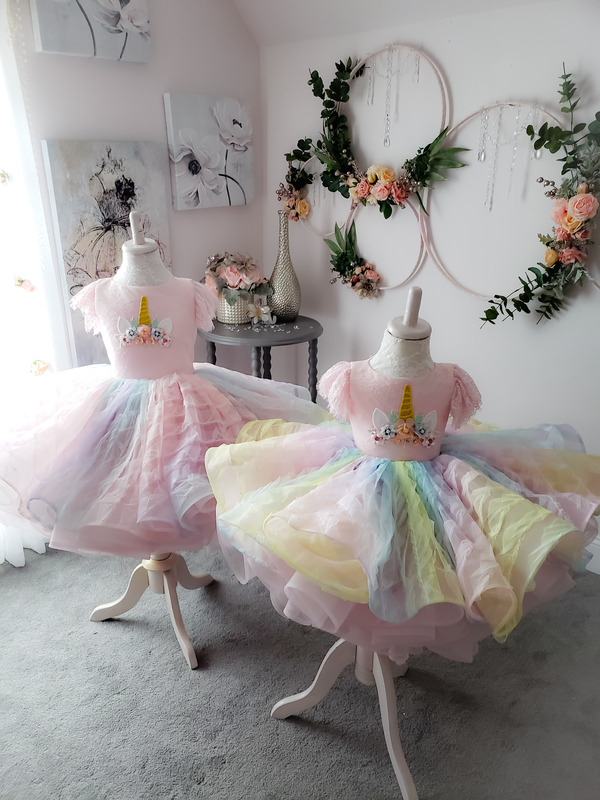 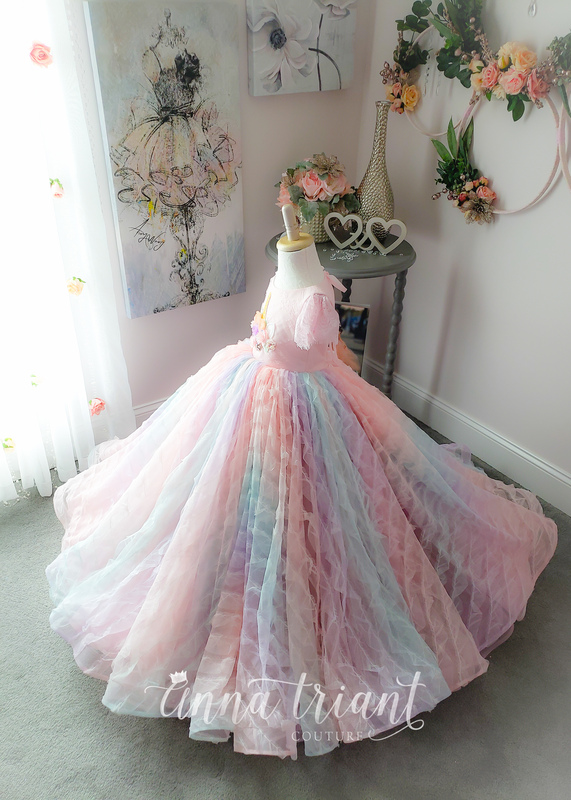 Scattered with tiny soft ruffles all over the skirt, this colorful unicorn gown is packed with fun - an embroidered unicorn silhouette on lace overlay bodice decorated with three dimensional beaded flowers, tiny eyelash lace flutter sleeve for a touch of feminine whimsy, and a glorious ruffle skirt in watercolor-like pastel rainbow ombre all over. 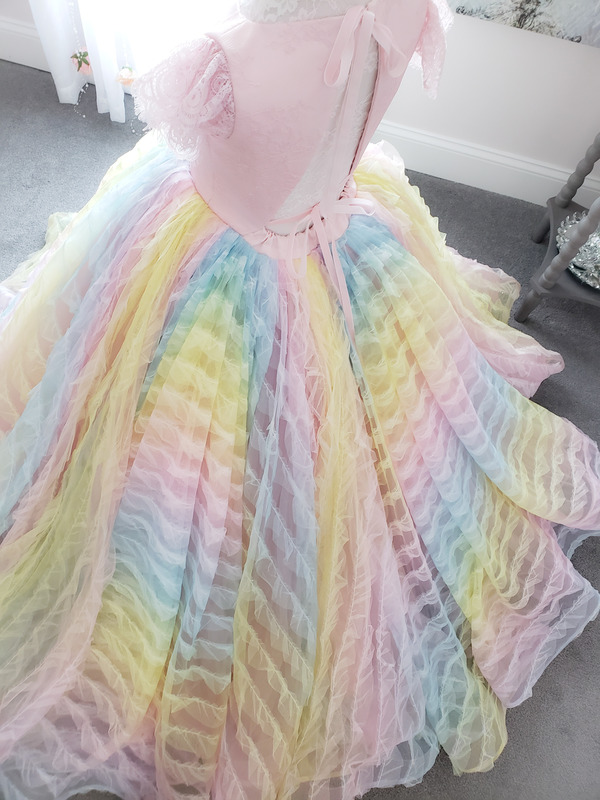 The underskirt has two luscious layers of mesh trimmed with horsehair braid - for a maximum volume and optimal twirl! 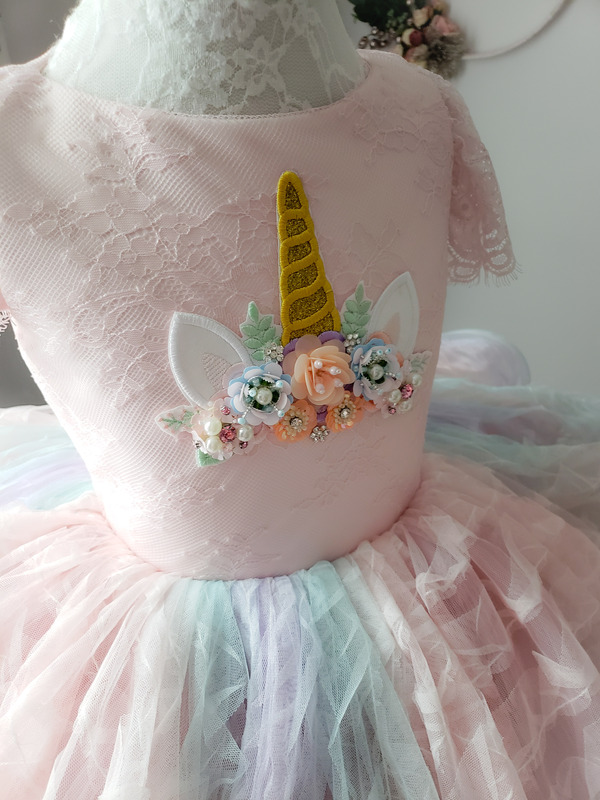 Please select your preferred color and length option, and add a matching headband with 3d beaded flowers to complete the look.